This Quilter’s Holdall was designed to carry an A2 cutting mat with all my quilter’s rulers when I go to workshops – but in fact it’s so useful, they live in here all the time. 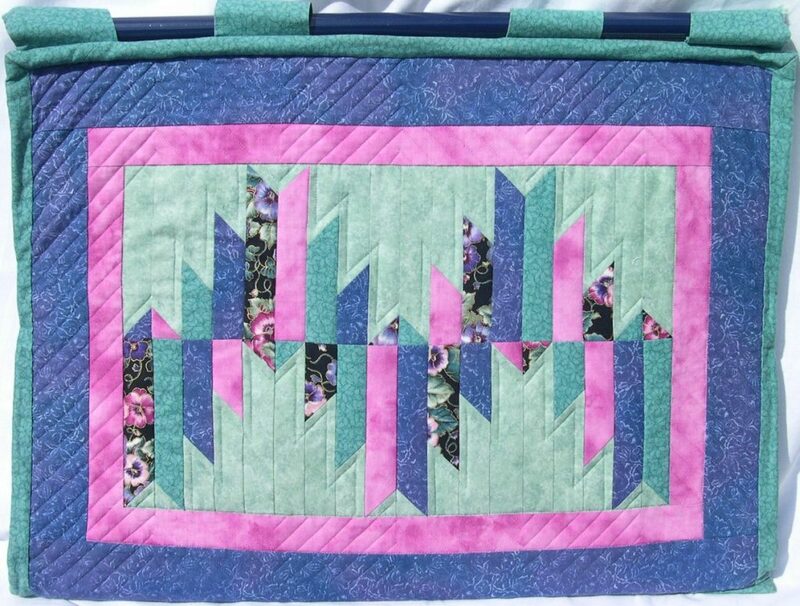 The Delectable Mountains patchwork design is made by a clever quick-piecing method; full instructions for this are included in the pattern, along with machine-quilting guidance and full assembly instructions. 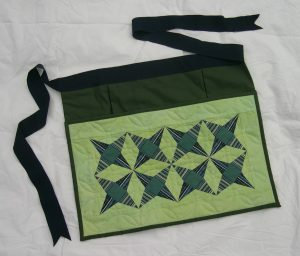 This peg bag has been hand-pieced using the technique of “English” paper piecing. 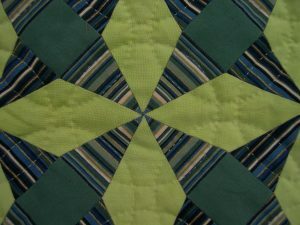 This allows precision placing of the striped fabrics as can be seen in the close-up. 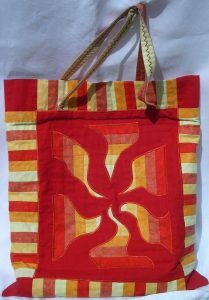 This colourful Summer Tote Bag was the first pattern I had commercially published.